Doug Ford’s government is a government of grifters. The Ford government lured supporters with frivolous promises of cheap beer, though its buck-a-beer program barely lasted a few months. And it pegged itself a careful steward of taxpayer dollars, while wasting resources on a vanity “news” channel, an unnecessary audit duplicating the work of the auditor general, and on a show trial of Liberal MPPs, for whom Ontario voters had already delivered a verdict through last June’s election. It’s the political equivalent of a carnival-hand cajoling you to a ring toss, though none of the rings actually fit over the pegs and someone will steal your wallet out of your pocket on your last throw. Of all of this government’s swindles, however — and I should point out, the above is a non-exhaustive list — it offered perhaps the grimiest of grifts earlier this week. So there was Thompson, standing by the carnival lights, announcing $12,300 per student to help ease the transition. That figure has nothing to do with autism services. There are other grants under the umbrella of Special Purpose Grants that are intended for accommodating and supporting students with special needs. But Thomson only cited the $12,300 figure — the one that applies to every pupil. The overall special education budget, meanwhile, remains around $3 billion. Thompson’s announcement was really a reiteration of existing funds that apply to all students — presented as a significant funding boost for children with ASD. A shiny trinket to mislead and distract angry parents. Granted, if you read the fine print, you will notice one small change: School boards can apply for that $12,300 in the last few months of the school year if students with ASD enrol after April 1. Previously, boards would have had to wait until the next designated headcount date, which is Oct. 31. That’s it. That’s the $12,300 announcement. A procedural change, sold as additional funds for students with autism. The government coupled it with a few small, but legitimate, resource boosts, and hoped no one noticed. 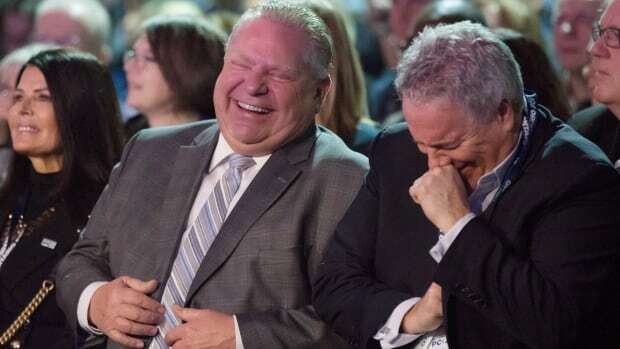 Having sold casual onlookers on “additional” autism funding, the Ford grift packed up and moved along, repackaging a previously announced federal infrastructure program as a $30-billion initiative launched by Ontario. It then placated parents with a ban on cellphones in classrooms, which sounded like action — until you realized that the government left enforcement to schools, rendering it another impotent policy and spectacular distraction. And there you have a small sample of the Ford government greasiness, reminding you that with this administration, you always check your change.